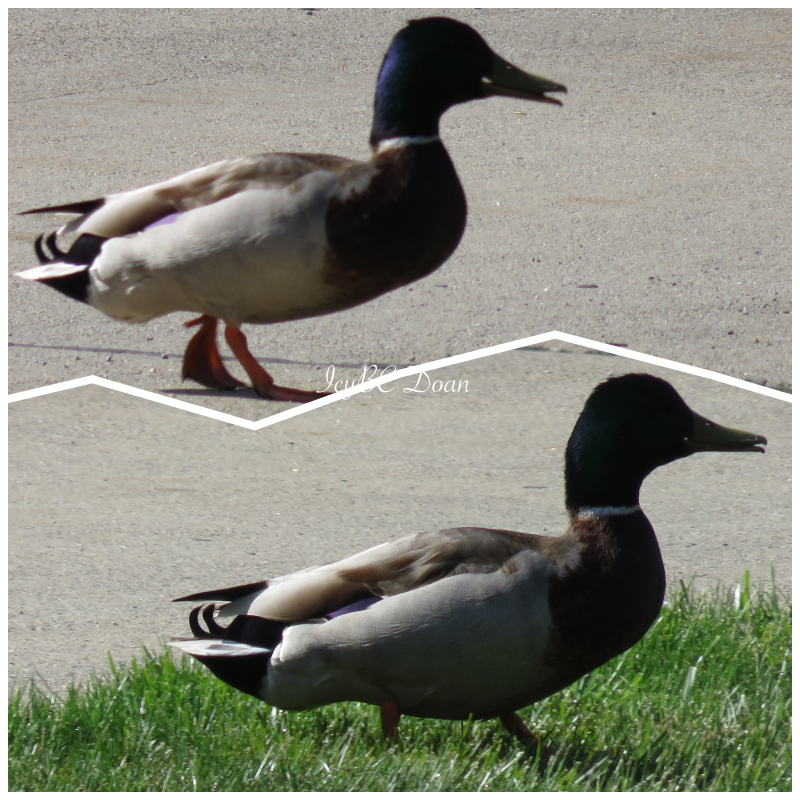 A few minutes later, the male mallard came waking across the street to her rescue! He was so kind and such a gentleman. He guided her out of the grass, and they were re-united. 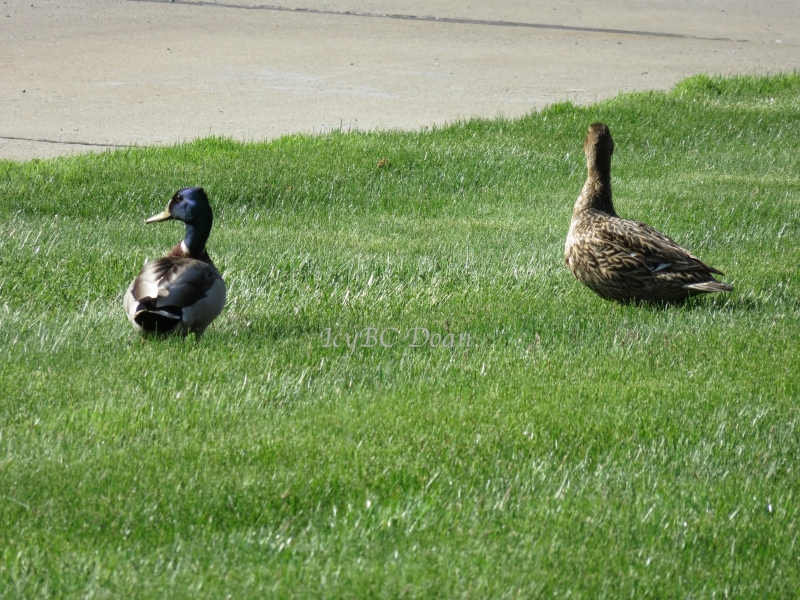 He led her away from the grass and together they flew off into the sky! I can tell you, this couple did give us some entertainment for the day! I'm so glad they found each other! What a sweet story and lovely pictures. Very sweet story with a happy ending! I like happy endings. 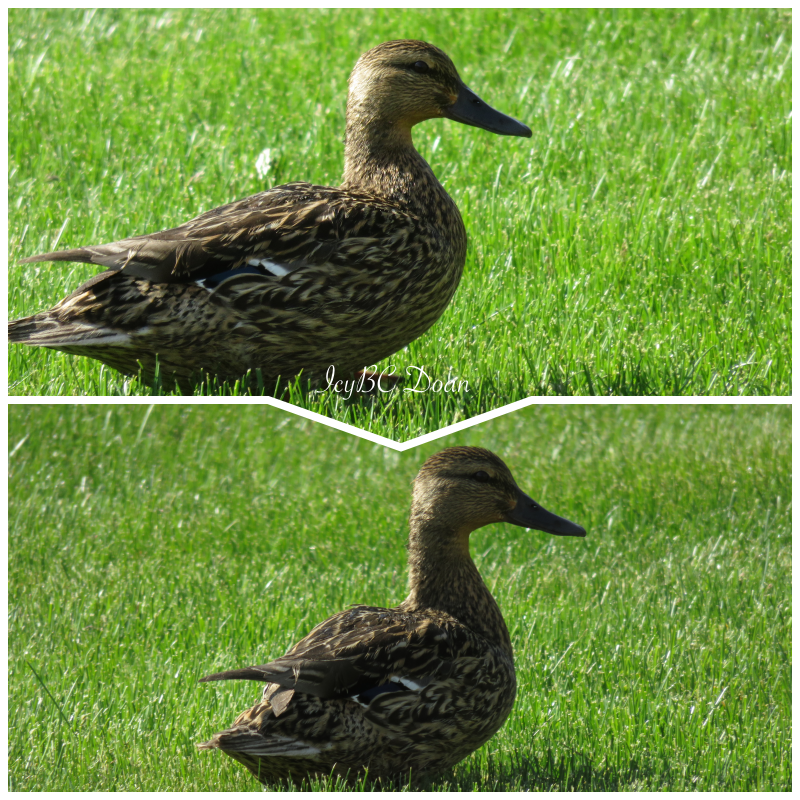 And it's always good to see some ducks. What a great thing to witness! 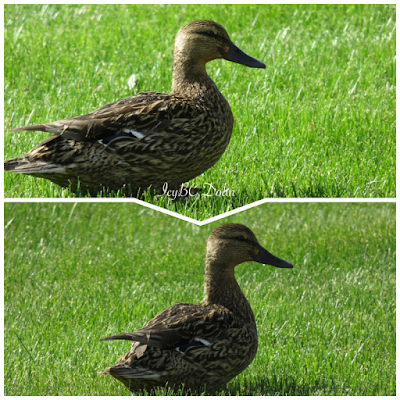 I love ducks, they have so much personality.